Vector Group Charitable Trust (VGCT) is registered with the New Zealand Police to have personnel of the organisation, its Associations and their Clubs checked for criminal histories that may put the community and our organisations as risk. The person having the check completed on them must complete Section 2 of the attached form. A trusted referee from within your Association must sight photo ID and complete the “Evidence of Identity” Section of the attached form. 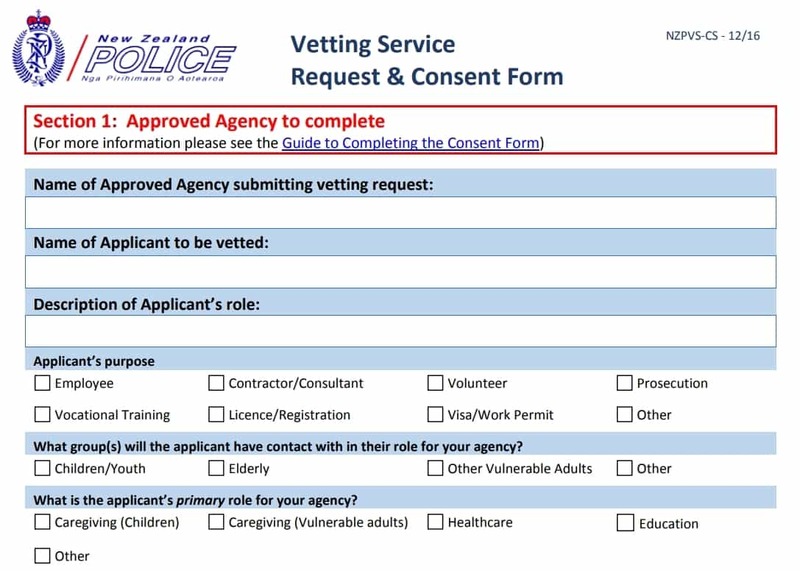 VGCT will forward notice and details of the response to the requesting Association/Individual, once received from the NZ Police and dispose of the consent forms and any copies of identification documentation no later than 3 months after conclusion of vetting process in accordance with Privacy Act 1993. There is no limit to the roles Associations may want vetted. However, it is strongly recommended that all coaches and personnel who deal with children and youth undergo a Police check prior to undertaking any VGCT activities. Police Vetting can only be carried out with the signed consent of the person being vetted. Consent is provided by completing the Request and Consent form. Agencies are expected to make sure the person being vetted is aware of the vetting process and can direct them to the Police website or the ‘Guide to Completing the Consent Form’ for more information. Previous articleVector Group Charitable Trust Website is Live!